Grid-connected and stand-alone residential solar systems allow customers to maximise returns beyond the prescribed Feed-in-Tariffs resulting from excess energy production. Enerklean team consults with owners, builders and architects nationwide, integrating residential solar systems into environmentally friendly and economically smart homes. Enerklean is the best partner with the right relationships with global manufacturers and suppliers to get the right products in utility customers’ hands. 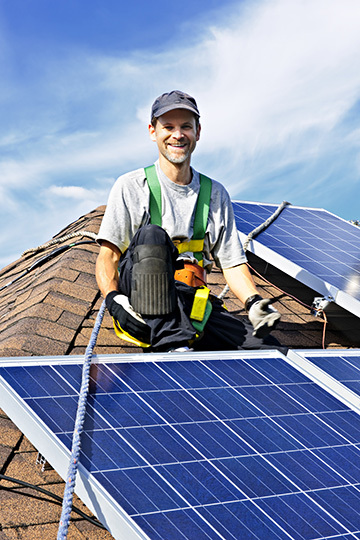 Our goal is to help you understand how different residential solar systems work and assist you in identifying the system best suited to your needs. We’ll make sure you find the most cost-efficient, reliable and aesthetically pleasing system available. No matter what your needs, questions or level of knowledge, we can help. Assistance with Small-Scale Technology Certificate (STC) incentives administration.